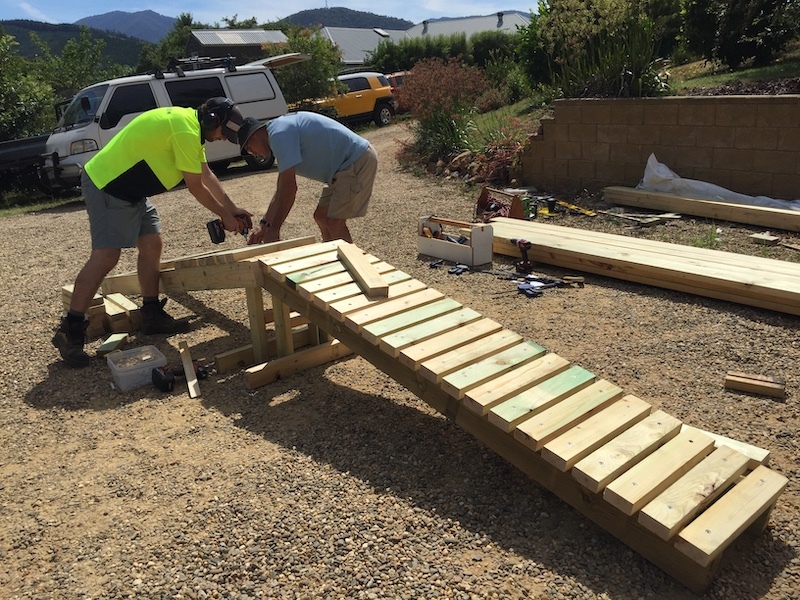 The Technical Trail Features project started more than 18 months ago when a core group of local riders (who some of also happened to be professionals in the building industry) created a TTF Structures Guideline for the Alpine Cycling Club. This guideline includes such things as maximum and minimum heights, and widths of structures. Safe fall zone considerations, where and when a TTF is suitable for a trail as well as some terrific designs of TTF’s that could be built. 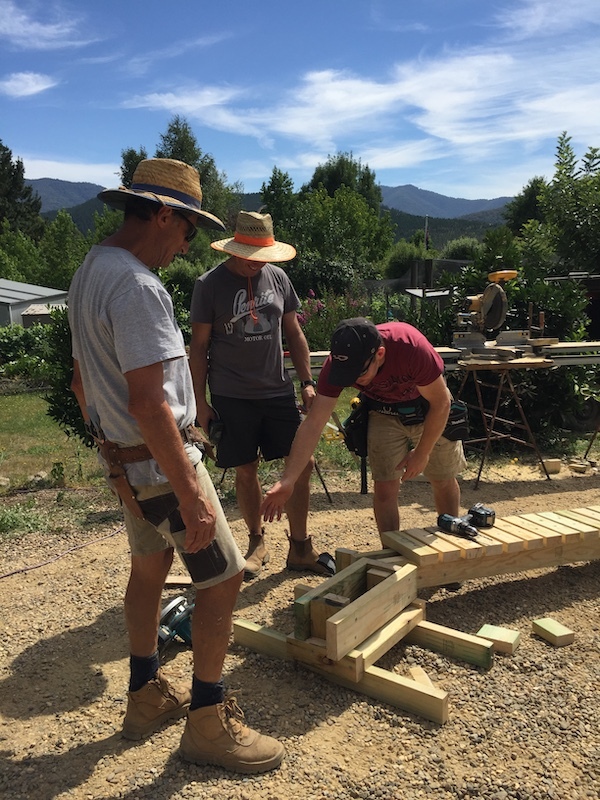 Sometime after the guideline was created Phillip Robichaud (on behalf of ACC) was successfully awarded a $2000- grant from AusNet to be used towards building a series of TTF’s to be used in the park. 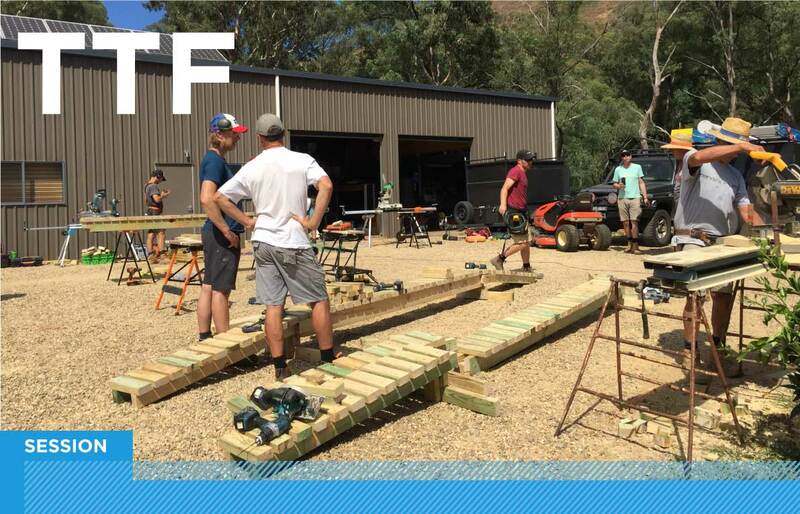 Fast forward a bit longer and with a whopping 70+ hours of total volunteer time on the tools, seven different TTF structures were built. Phill hopes to have these new TTF’s installed near the future Mystic Trail Head which is due to begin construction this year. 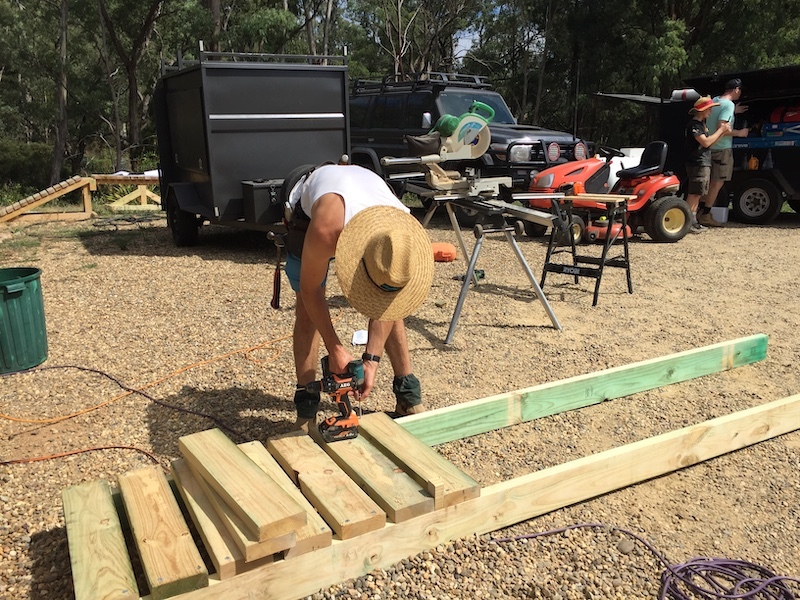 He will be calling another working bee to do some site preparations before they can be installed, so keep your eyes and ears open for that. 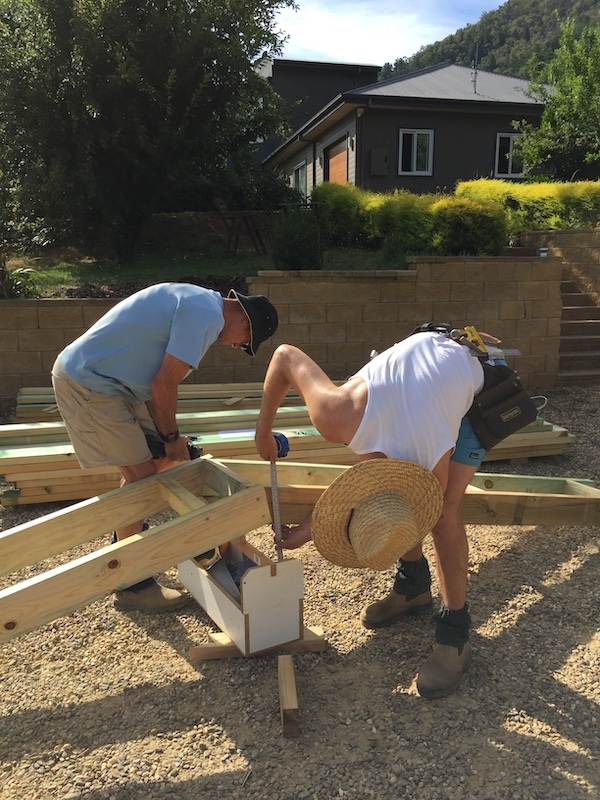 Phill would like to give a big thanks to Andy Friend for letting us use his property to store the materials and construct the TTF’s. 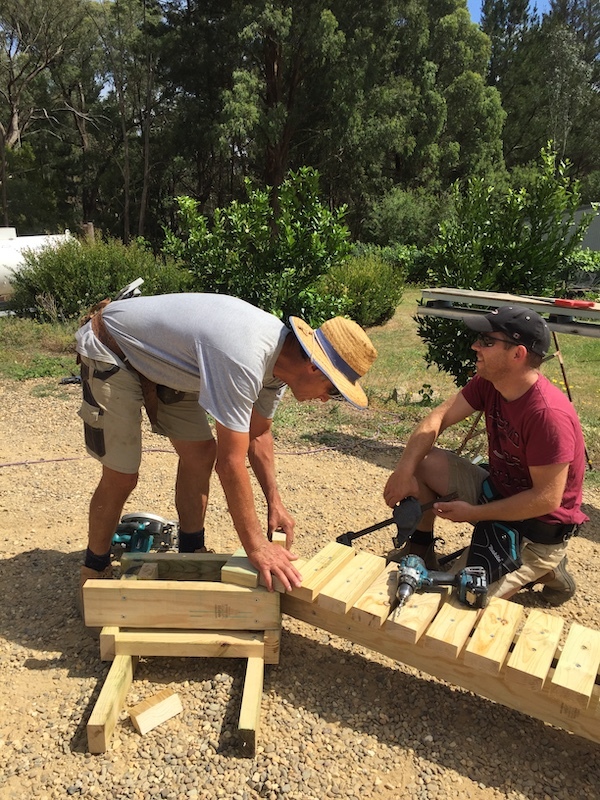 Rob Hofbauer for helping ACC arrange all the necessary materials, John Carter for creating all the TTF drawings, and all of the enthusiastic, skilful people who donated their time and knowledge to make this project a success. Lastly, thank you AusNet, for understanding our vision for Mystic Park and helping us get one step closer to it. 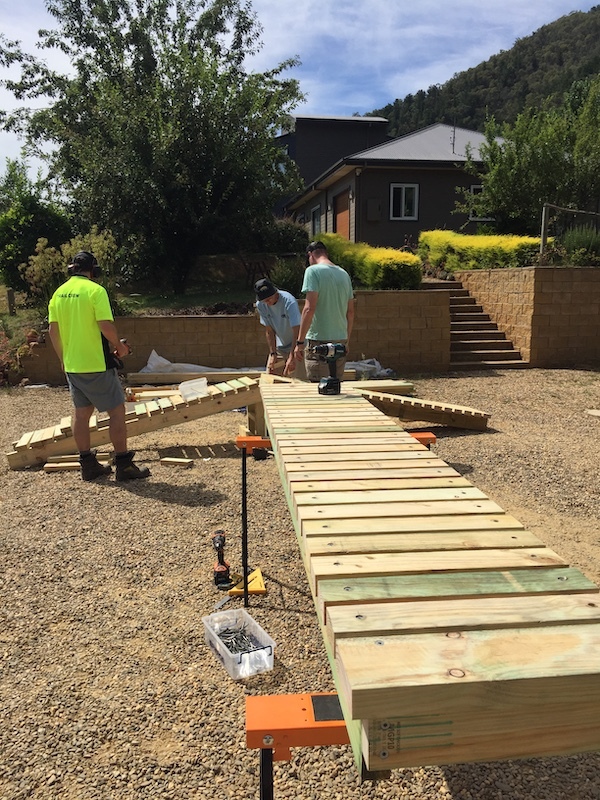 It is community grants like this that keep the gears turning for small, not for profits like the Alpine Cycling Club.